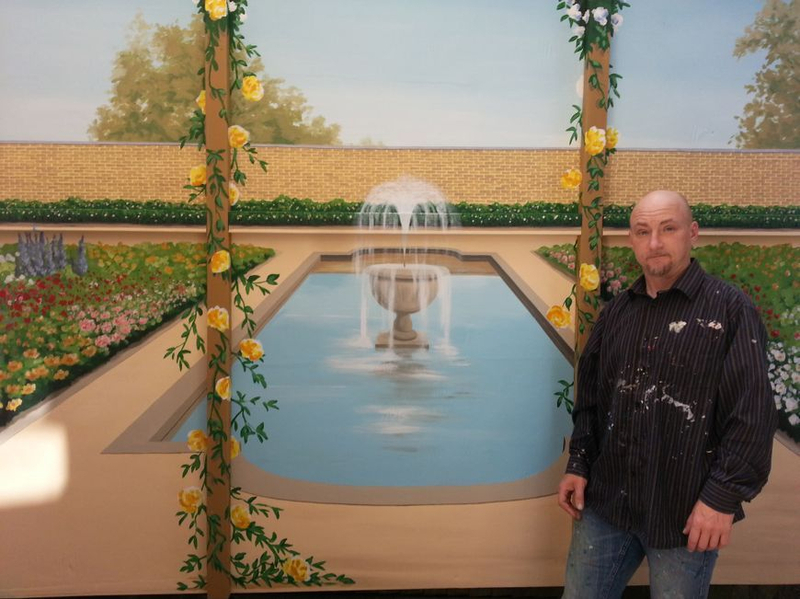 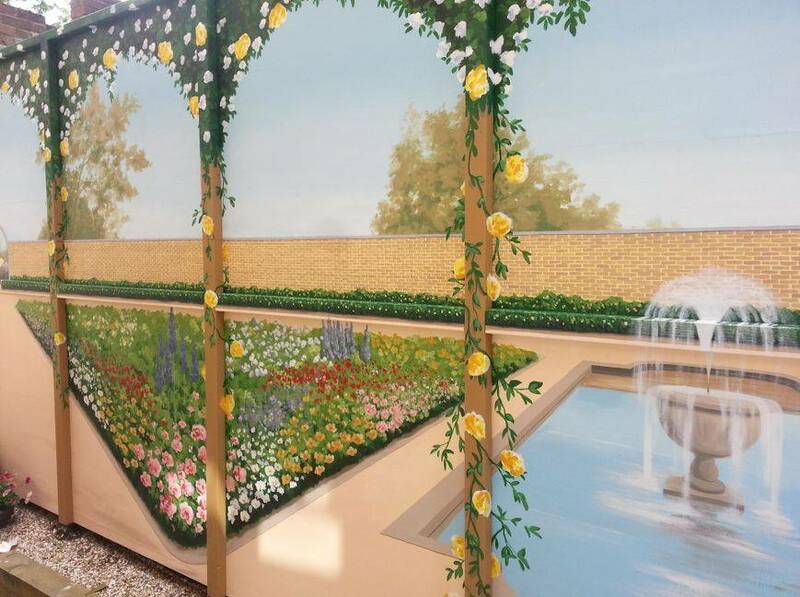 This walled garden with a fountain seen through rose arches, was created in five days in a garden in Dover. 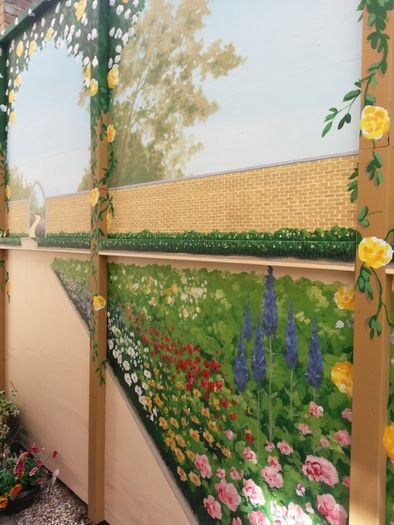 The mural was painted onto a large white wall that was constructed to hide the next door neighbours garage wall (only a few feet away from the owners patio doors), but it was definitely more of an eyesore! 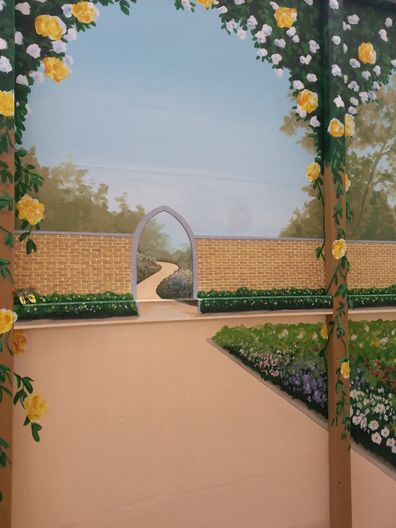 The couple we painted it for wanted a lot of bright colours and to be able to look out of their patio doors and see a peaceful pretty garden to brighten the dim pathway leading alongside the flat.